RANGOON – The Arakan State government has issued a proposal to the Union government to open seven new beach resorts in Gwa Township and two in Thandwe Township, according to the regional minister for finance, revenue and economics U Kyaw Aye Thein. “We found seven locations in Gwa Township. The beaches are pretty nice. And we intend to establish hotel zones,” said minister U Kyaw Aye Thein. He explained that the state government is awaiting approval from the Union government in order to officially announce the hotel zones on the Gwa coastline. The minister said they would then invite developers to invest in the projects. Currently, the state and Union governments are coordinating in order to upgrade the highway to Gwa from Nga Thaing Chaung town in Irrawaddy Division. Some local travel agencies are arranging tour packages to Gwa for domestic travelers by minivan from Rangoon. 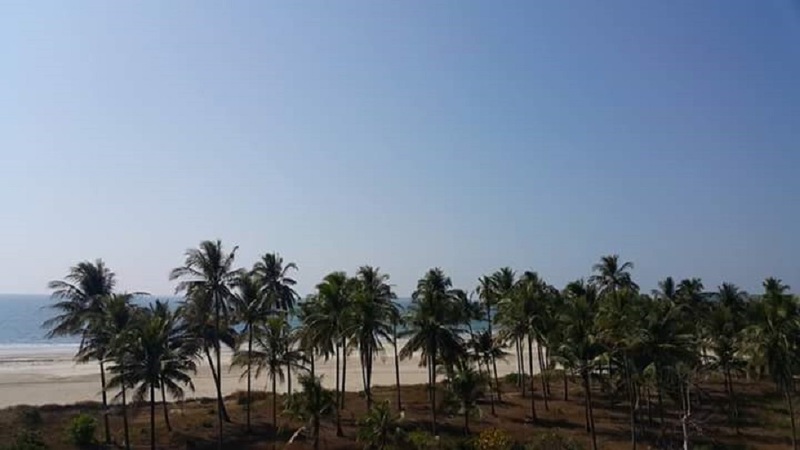 The Gwa seashore is somewhat popular among Burmese visitors, but the area is not home to luxury hotels like those found on neighboring Ngapali beach. Regional lawmaker U Soe Win of the National League for Democracy said that in recent years, some businessmen bought land near Kanthaya beach—just north of Gwa town—upon hearing that the government would create a hotel zone there, causing land prices to rise. Gwa is known to be one of the least developed areas in Arakan State, with most residents relying on fishing and agriculture to make a living. Employment and educational opportunities for young people in the area are limited, said U Soe Win.